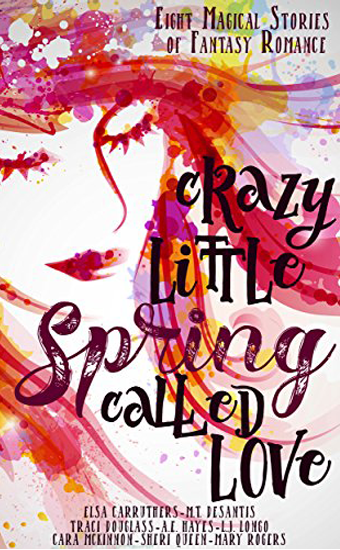 Prepare for a Whirlwind Romance In "Spring Fling"
What's in a name? Sometimes, it's your fate. Carson Freigh and Carson Byrd both wish the other had gone anywhere but Garland University. Free Bird jokes got old. After four years of fighting the hype, they became lovers for one blissful week before graduation, but even their names couldn't make it last. Unable to work for her in her small start-up, Lennan, Carson turned down a job and Carrie. Years later, Carson Byrd's career never got out of first gear. He's pretty sure he knows why, though. She took his talents for herself that week. Tired of hearing about Carrie's success in natural skin care products, Carson makes a bargain for his own - but magic has a price. He can take the power from an old Druid's rowan tree, but he has to give something up, to be determined by the Druid. Now, Carson Byrd is the owner of a fast-growing line of men's grooming aids, and Carrie's company is posting record losses. Poised to sell, Byrd's Cumas is there with an offer. The problem? She has no memory of their week as lovers. Could his magic have been stolen, or only his heart? Find out when you purchase your copy of this short romance novel in the upcoming anthology from Stars and Stone Books. It is also available to purchase on Amazon, iBooks, Kobo, and Nook for $3.99.